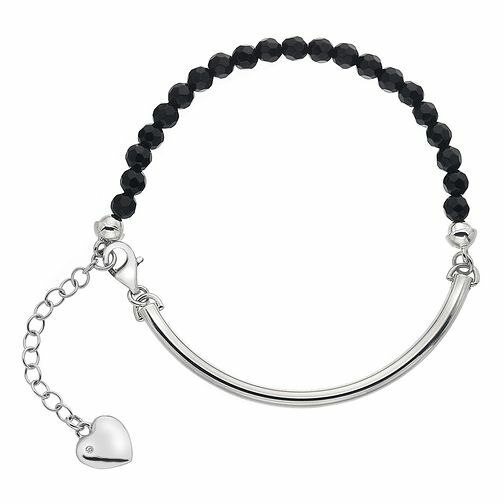 This beautiful bracelet is crafted from sterling silver and black onyx, which signifies emotional well being. Also features a real diamond. Hot Diamonds, bringing silver and diamonds together.